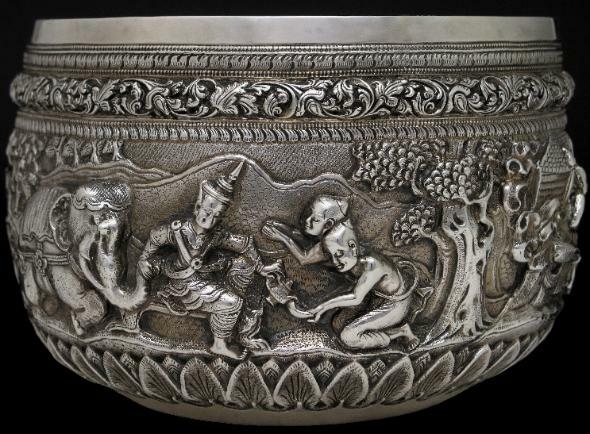 This medium-sized bowl, heavy for its size, is repoussed with traditional Burmese themes, including Burmese figures in traditional costume, all in high relief. The upper border features a scrolling orchid motif (dha-zin-gwei); the lower shows an up-turned lotus petal design (kya-hlan). 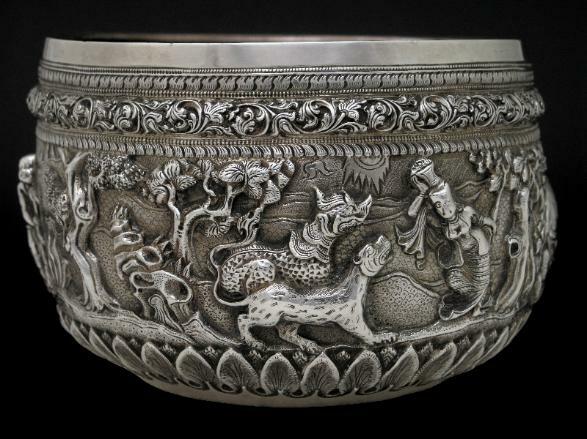 The repousse work is of a high standard. 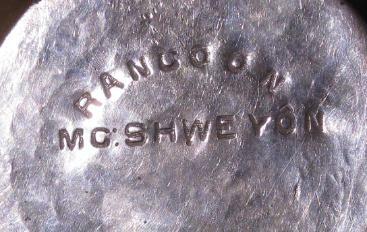 The base is crisply engraved with ‘MC: Shweyon’ and ‘Rangoon’. Perhaps ‘MC’ stands for ‘master craftsman’. 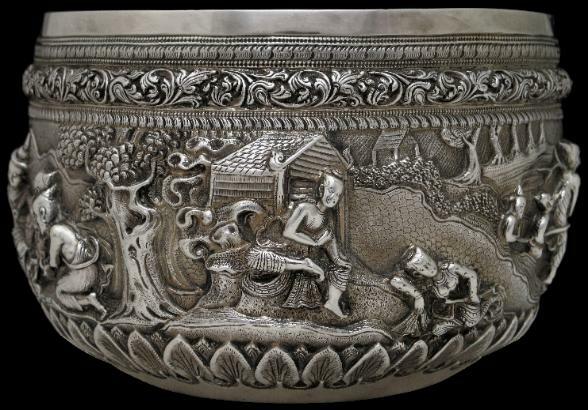 parikkharas or possessions allowed a monk). 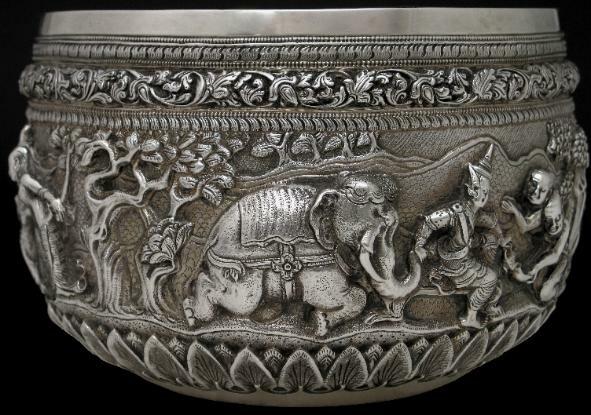 In turn, such bowls are based on a bowl that the Buddha himself is said to have used.